As deadly clashes between Ukrainian troops and pro-Russian rebel fighters reach levels not seen since before the Minsk II ceasefire was signed in February, Ukrainian President Petro Poroshenko warned that Russia may be preparing to invade Ukraine's border region in the east. "Ukraine's military should be ready for a new offensive by the enemy, as well as as full-scale invasion along the entire border with the Russian Federation," he told Parliament Thursday. "We must be really prepared for this." While the conflict has seen periodic bouts of intense fighting since the ceasefire officially went into force on Feb. 15, clashes on Wednesday in the small town of Marinka, which lies about 6 miles (10 km) west of the de facto rebel capital of Donetsk, are reported to be some of the fiercest in the last 14 weeks. 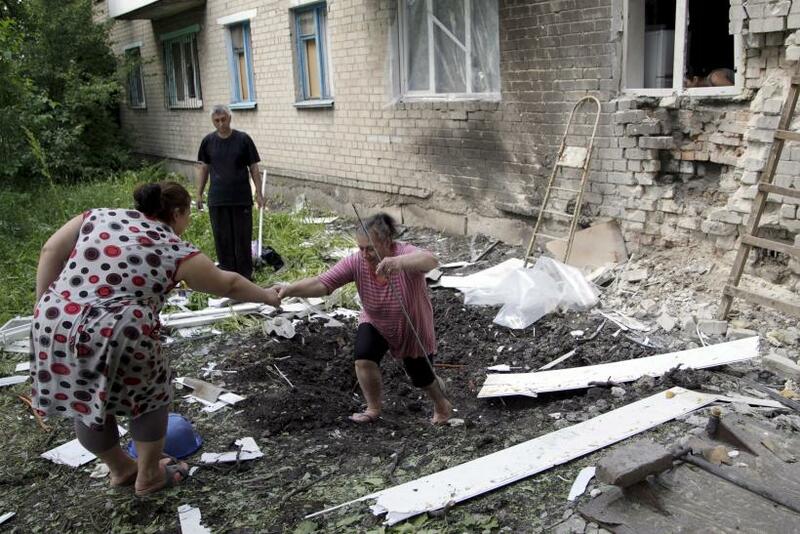 According to Kiev government reports, as many as 15 people were killed and dozens wounded. Poroshenko said in his speech to the Ukrainian Parliament in Kiev that the fighting included the use of rockets, artillery and tanks. He also contends that Russia has 9,000 troops in the region. Moscow denies its military has any involvement. The Organization for Security and Co-operation in Europe, the group charged with overseeing the supposed ceasefire in eastern Ukraine, said in its latest spot report from the conflict zone that it had observed the movement of heavy weapons inside rebel-controlled areas before and during the newest battle. The OSCE has consistently complained that it is being prevented from entering areas held by both sides. That makes it impossible for OSCE monitors to report on any movement and use of weapons banned under the Minsk II agreement that may be happening in those areas, or observe the presence of Russian troops and weapons that Western governments say are assisting the separatists. The British Foreign Office reproduced a map featuring areas in which the OSCE has been prevented from entering in Ukraine. An estimated 6,400 people have died in the contested Donbas since fighting began in April 2014, when rebels began seizing towns and cities across the region.